Videos paint a thousand words ! Please watch some of our performances to get an idea of how good we sound ! Click to VIEW ALL OUR VIDEOS ! 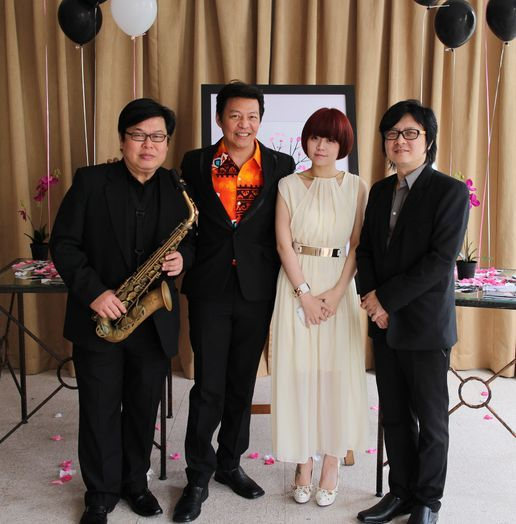 It's important to pick a Right Band and perform songs with high standards and fill the atmosphere with joy.The musicians and singers from The Wedding Serenata are highly sort after and most have been performing for more than 10 years both locally and oversea.Due to our veteranism in music, you can expect a very classy entertainment that can't be match. GLASS ANATOMY The Musical Trailer. We are always updating our videos.Check out some of our recent wedding performances...or view all our videos on youtube ! Click to view ALL youtube VIDEOS ! Click to watch FEATURED video ! 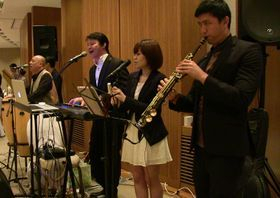 The Wedding Serenata - Your number 1 choice for a live band ! Specially arranged wedding march-in songs to sync up with your grand entrance ! Performing a classic hokkien song requested by the couple " 家後"